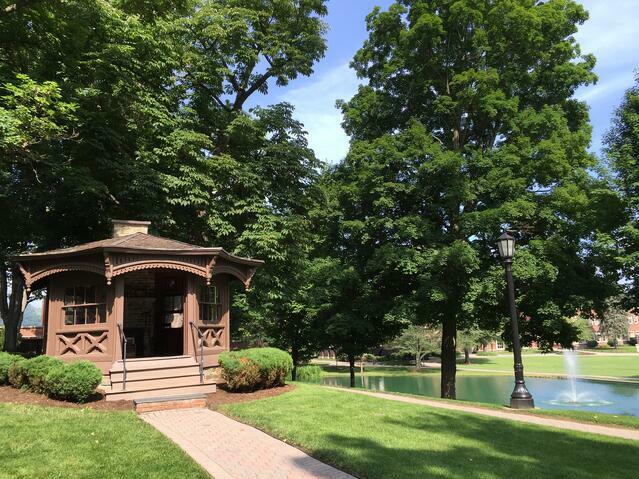 Nestled in New York’s beautiful Finger Lakes region, Elmira College has a historic campus footprint unlike any other. 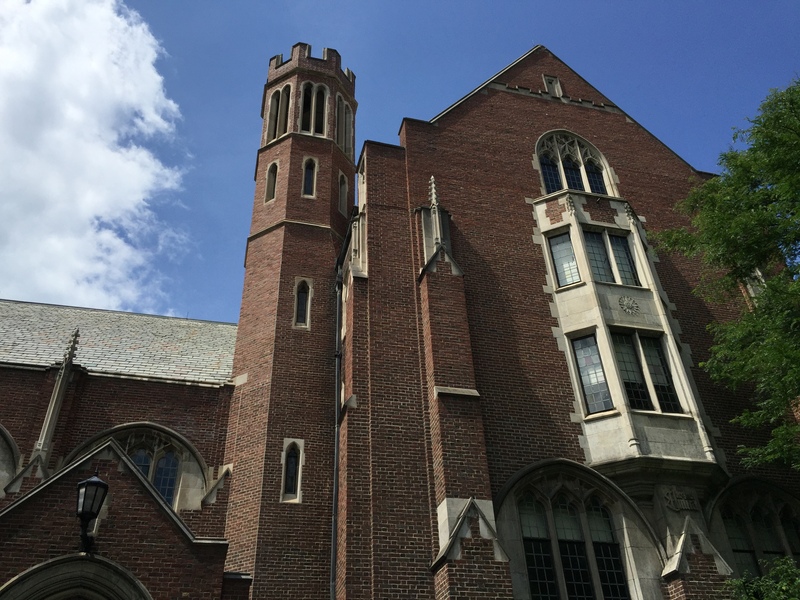 I learned this at the start of my journey through Elmira in Hamilton Hall, the Admissions office and “one of the finest examples of English Collegiate Gothic architecture in America,” says the National Register of Historic Places. Many of the campus’s buildings could pass for castles, even the new ones. Meier Hall, built in 2010, has won numerous architectural awards and is one of the most sought after places to live by students. 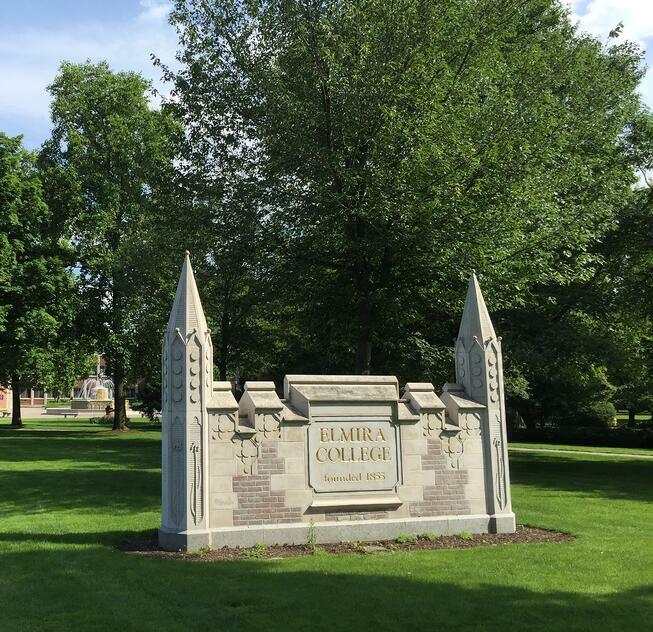 Elmira’s colors are purple and gold, and its students consider purple more than just a color. 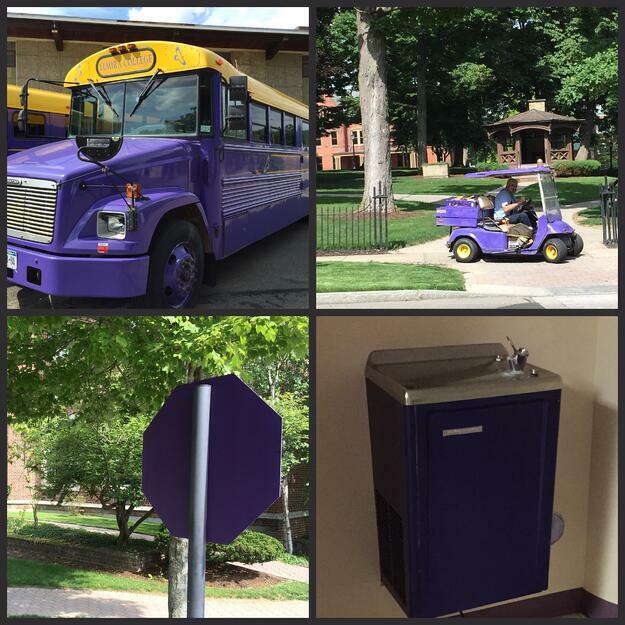 After being greeted by my Gold Key tour guide, I began taking note of the countless (often subtle) spots of purple across campus - the color purple is deeply embedded in the Elmira experience. The bathroom stalls, soap dispensers, and even the liquid soaps showed the same purple. The carpet, the trim around the buildings, the mowers used by the grounds crew, was all purple. I left Elmira’s campus with that distinct color on my mind. It was an effective visual reminder of my experience. It is difficult to think of Elmira, NY and not associate the area with one of the greatest writers of all time, Mark Twain. He wrote his most famous works, including The Adventures of Tom Sawyer and Adventures of Huckleberry Finn, in his study at Quarry Farm, overlooking the majestic Chemung Valley, which was said to have served as inspiration to his writings. Twain died in 1910 and was buried in Elmira. In 1952, his family gave his study to Elmira College. Coined as the “#1 Literary Attraction in America” by USA Today, Twain’s study is staffed by student volunteers who share his stories and legacy with all who stop by. Inspiration or simple fun, Elmira has both on Harris Hill. Take a ride up the Hill to understand why Elmira holds the title of National Soaring Capital of America. To really take in the view of the entire region, glider rides are available. There is also a National Soaring Museum and a Harris Hill Amusement Park, where the classic pastimes of mini-golf and Skee-Ball are offered. 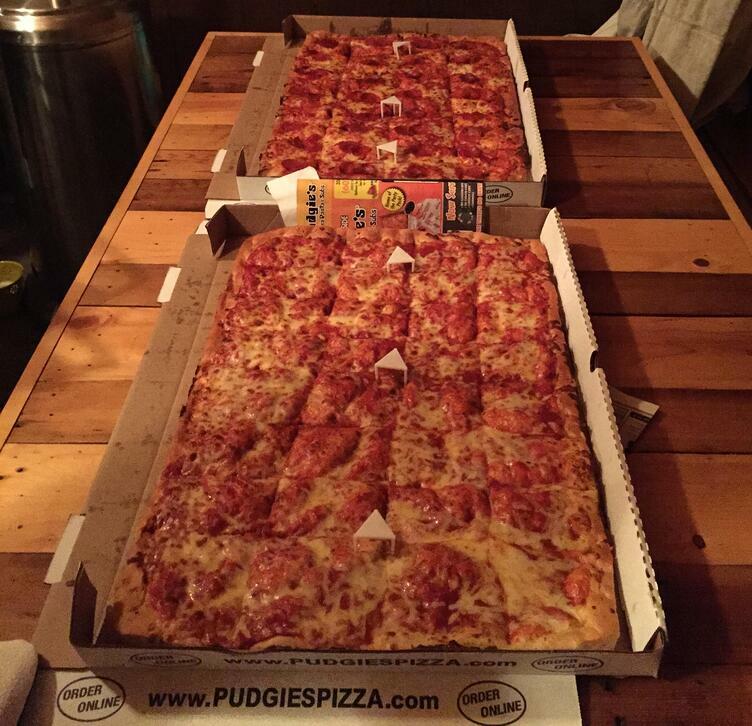 A staple of Emira, NY since 1963, Pudgies is not a typical New York Style pizza. Forget about a slice of pie, they deliver a sheet style of pure goodness. Their sauce is outstanding and their dough is made fresh daily. I can’t fully explain it, however, I crave this pizza like no other and must have it during my visits to this area. The Pudgies special with pepperoni, a sheet of plain cheese, or a garlic pizza with extra cheese will all leave you smiling.